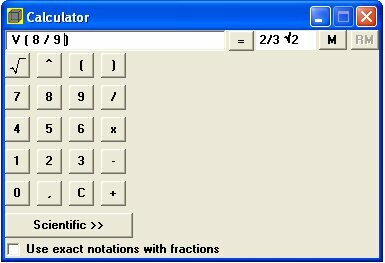 Geocadabra features a special calculator that can calculate using exact roots as well as fractions. Clicking on the calculator button will bring up the calculator. 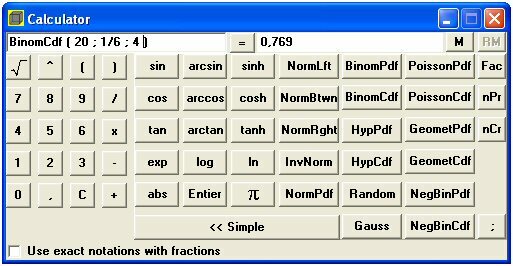 The calculator’s possibilities depend on the target group selected in the configuration box. We will start by giving you two examples with the difficulty set to low. 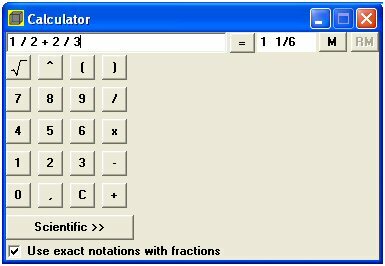 Check the box below the buttons to activate the exact notations with fractions function. Please refer to the example alongside. Select show root numbers if possible in the show numbers part of the configuration box. The capital V should be regarded as the root symbol. Alongside √ 8/9 has been reduced to 2/3 √2. Using the calculator with difficulty set to high. Below you find the answer to the following question: In a dice game you are allowed to throw the dice twenty times. How likely are you to throw a maximum of 4 sixes? 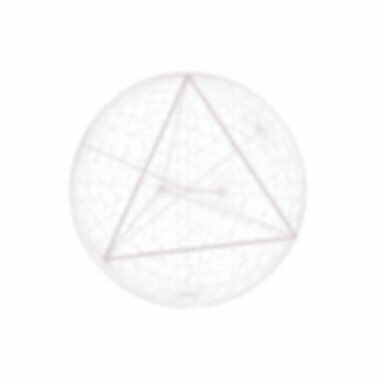 When you hover your cursor over a key, a syntax explaining the function of that particular key will appear.